-Blend the red chilli, garlic, onion, lemon grass puree, ginger puree, shrimp paste and ground cumin until they form the paste. (I used a handheld electric blender). -Put the coconut oil and the curry paste and gently fry for 2-3 minutes. -Add the cooked turkey, potatoes and 50 ml of coconut milk into the same pan. Then gently mixed the ingredients together. – Add the fish sauce, oyster sauce, sugar and the rest of coconut milk into the same pan. Bring it to boil then turn the heat down quickly and simmer for 15 minutes. 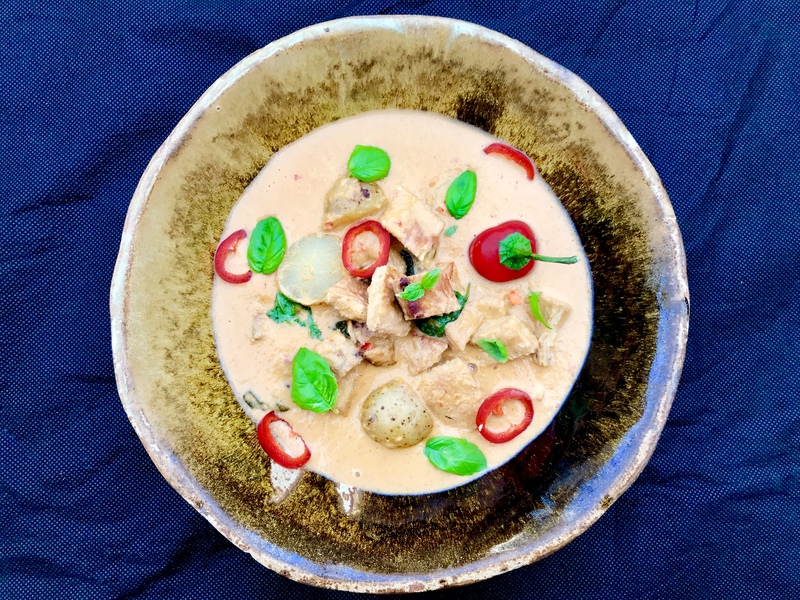 – Serve this creamy and velvety leftover turkey Thai red curry with the aromatic Thai jasmine rice. -This curry is so versatile. The recipe works with other type of meat i.e. duck, pork or beef. Enjoy! 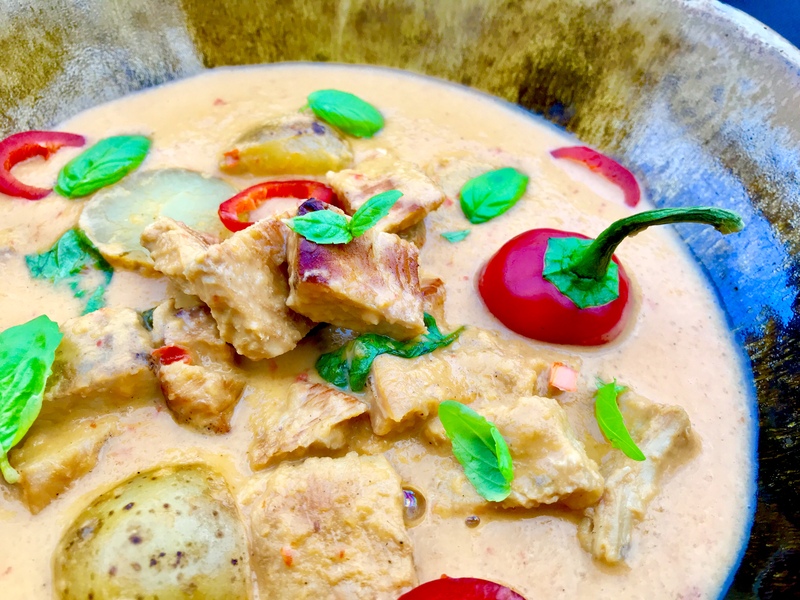 -Make the curry paste in advance and freeze them for even the easier leftover turkey Thai red curry.